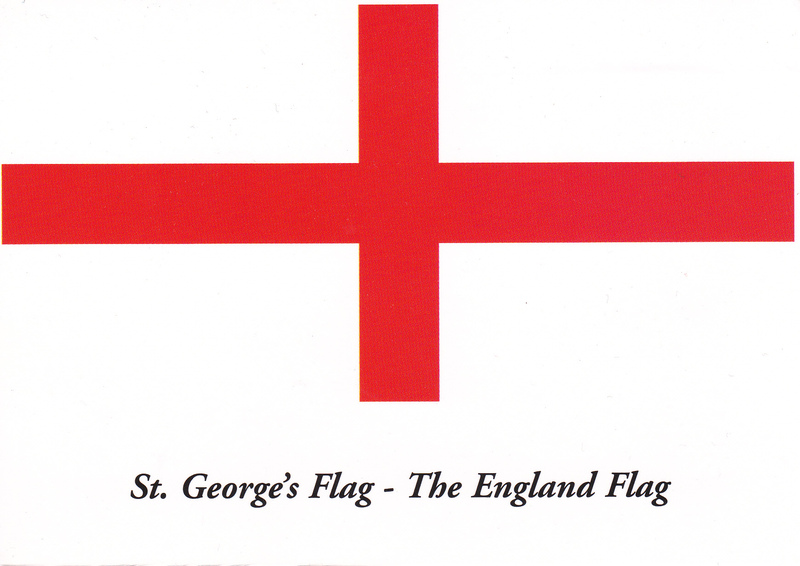 The St. George’s Flag or the Cross of St. George is the official flag of England. The red cross on a white background is associated with Saint George since the time of the crusades. The association of the red cross as an emblem of England can be traced back to the Middle Ages, and it was used as a component in the design of the Union Flag in 1606; however, the English flag has no official status within the United Kingdom. Since the 1990s it has been in increasingly wide use, particularly at national sporting events. The Union Flag, commonly referred to as the Union Jack, is the national flag of the United Kingdom. 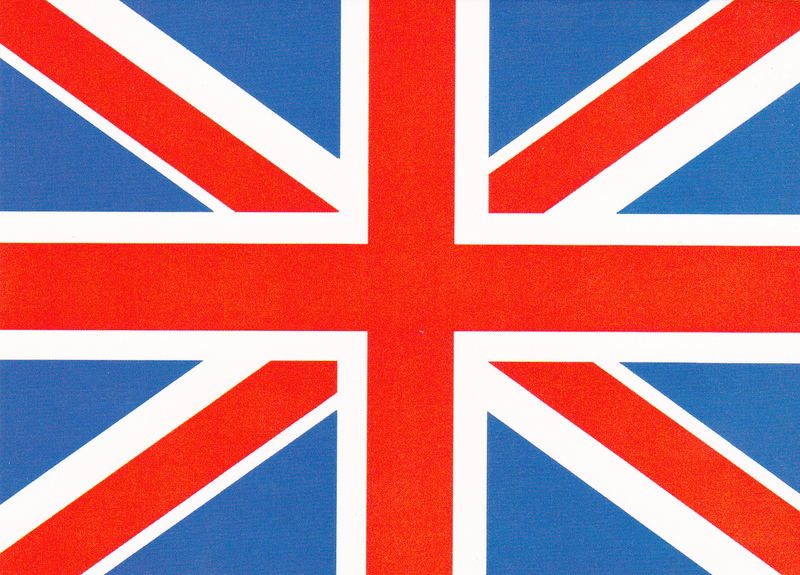 Originally, Union Jack was the name given to a flag flown on a ship of the Royal Navy. 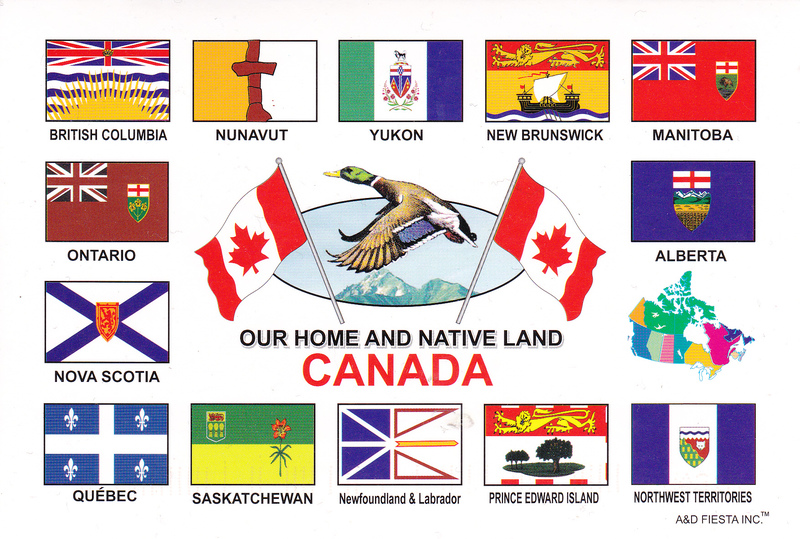 The Union Jack flag also enjoys an official or semi-official status in some Commonwealth realms; for example, it is known by law in Canada as the Royal Union Flag. Further, it is used as an official flag in some of the smaller British overseas territories. The Union Jack also appears in the canton (upper left-hand quarter) of the flags of several nations and territories that were former British colonies. The origins of the flag date back to 1603, when James VI of Scotland inherited the English and Irish thrones (as James I), thereby uniting the crowns ofEngland, Scotland and Ireland in a personal union (which remained separate states). On 12 April 1606, a new flag to represent this regal union between England and Scotland was specified in a royal decree, according to which the flag of England (a red cross on a white background, known as St George’s Cross), and the flag of Scotland (a white saltire on a blue background, known as the Saltire or St. Andrew’s Cross), would be joined together, forming the flag of Great Britain and first union flag. The current design dates from a Royal Proclamation following the Union of Great Britain and Ireland in 1801. The flag combines aspects of three older national flags: the red cross of St George for England and Wales, the white saltire of St Andrew for Scotland (which two were united in the first Union Flag), and the red saltire of Saint Patrick’s Flag to represent Ireland. This postcard from the other side of the world reached me last year as the first from Australia and the second one with a flag on it. Having immigrated into the UK several years ago, it is still very interesting to see and read how so many countries are tied so closely to the kingdom as part of the Commonwealth. And here is a bit about the history. The flag of Australia is a defaced Blue Ensign: a blue field with the Union Jack in the canton (upper hoist quarter), and a large white seven-pointed star known as the Commonwealth Star in the lower hoist quarter. The fly contains a representation of the Southern Cross constellation, made up of five white stars – one small five-pointed star and four, larger, seven-pointed stars. 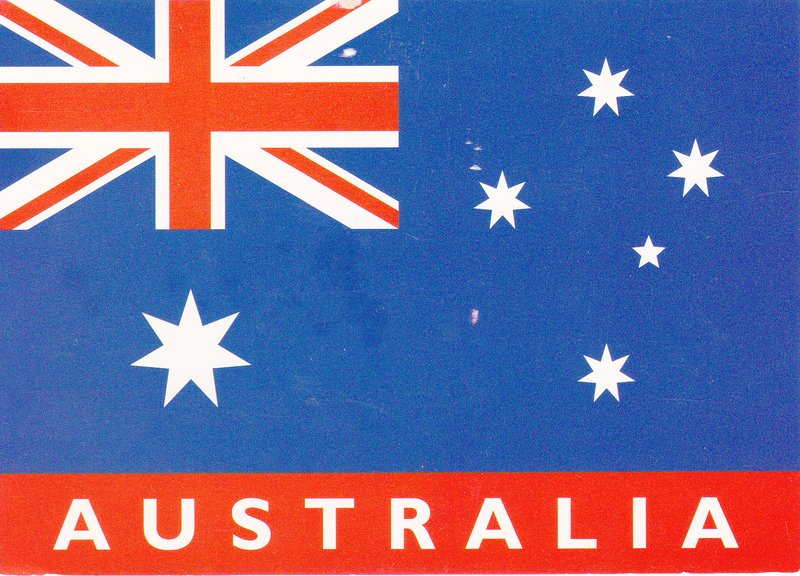 Having been to Australia about 10 years ago, a lot of memories came back after reading and watching this card. Australia is such a great country and I would go a live there if it would not be that far away from my family in Germany. 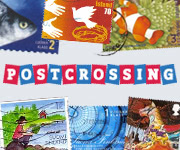 Which place in Australia do you like most and why? My favourite place is Sydney.